The great thing about multi-platform games is that owners of different consoles get to play the same game. But what about when the game isn't exactly the same? As it has been pointed out (via website CVG), the Xbox 360 version of cowboy game Red Dead Redemption runs at 720p, while the PS3 version runs at 640p. Meaning? 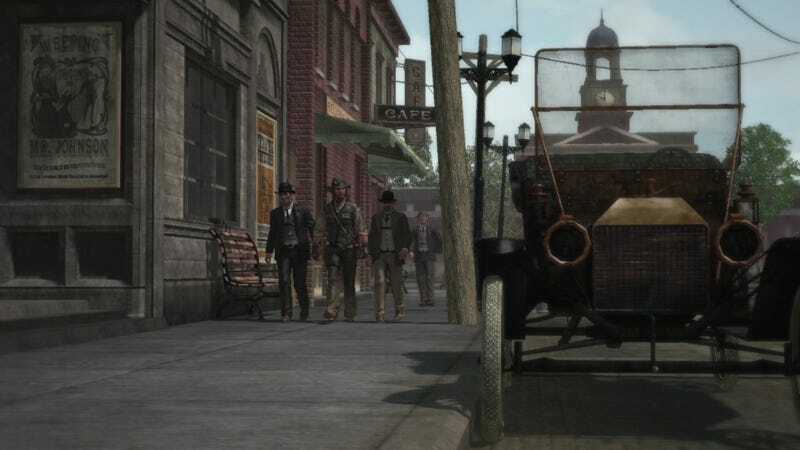 Meaning that the PS3 version of Rockstar's Red Dead Redemption is at a lower resolution. There also was a discrepancy for the PS3 and Xbox 360 versions of Rockstar's last huge game Grand Theft Auto IV. I got the PS3 version of GTAIV — it was fine! Previously, SEGA's action game Bayonetta also seemed to suffer from multi-platform discrepancies with the Xbox 360 looking sharper than the muddier PS3 version.